Look out behind you, Ripley! 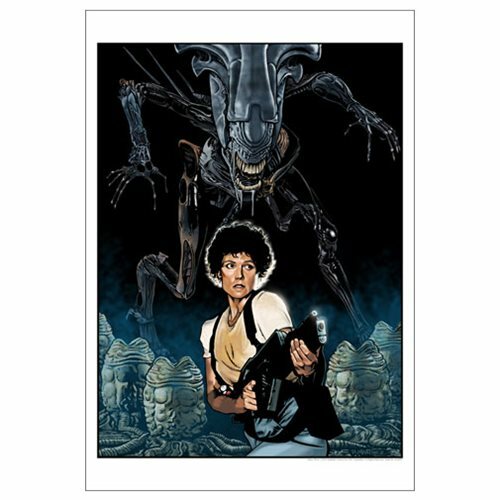 This Aliens: Nemesis by Randy Martinez Paper Giclee Art Print displays the horrifying scene in the hit Aliens movie where Ripley accidentally stumbles upon the Alien Queen's hatching room. A limited edition of 95 hand-numbered pieces, this stunning giclee has been printed on paper and will leave you haunted. Measures 19-inches tall x 13-inches wide. Ages 14 and up.